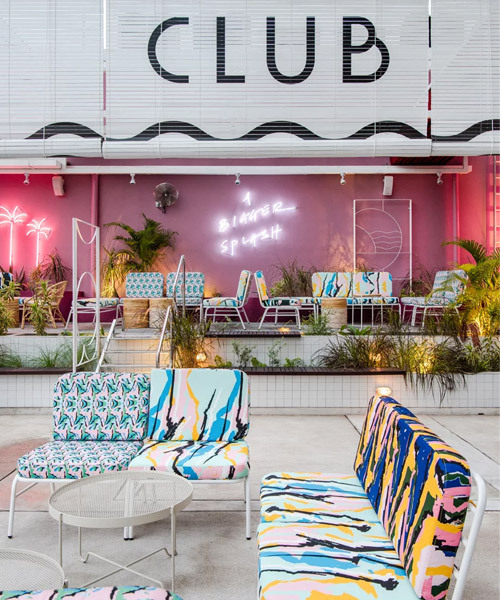 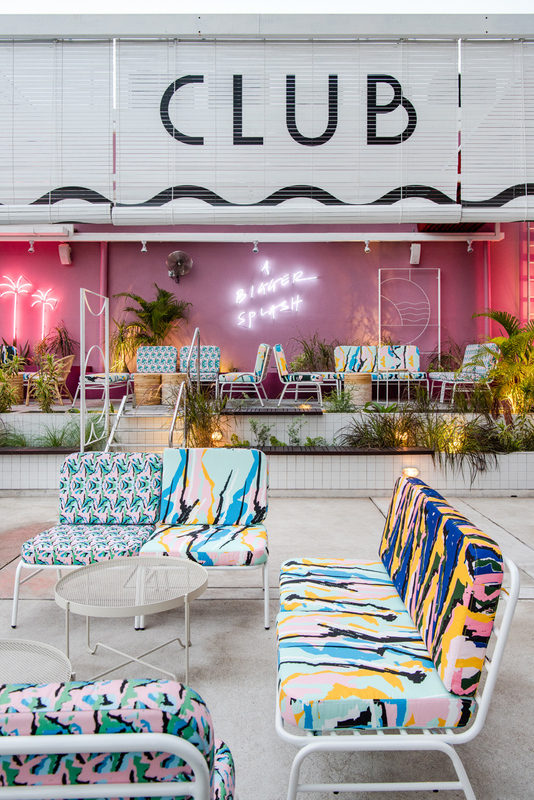 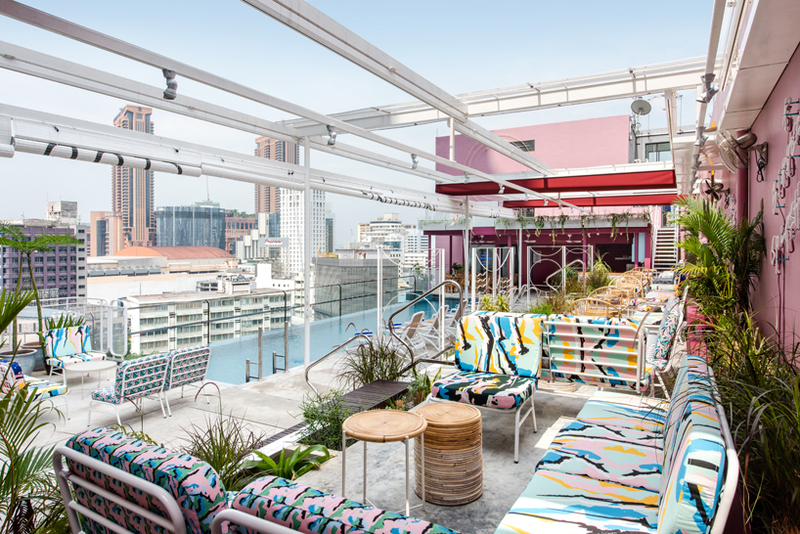 the swimming club by POW ideas is a pool and event deck situated on the 11th floor rooftop of KL journal hotel, a boutique hotel in the heart of kuala lumpur, malaysia. 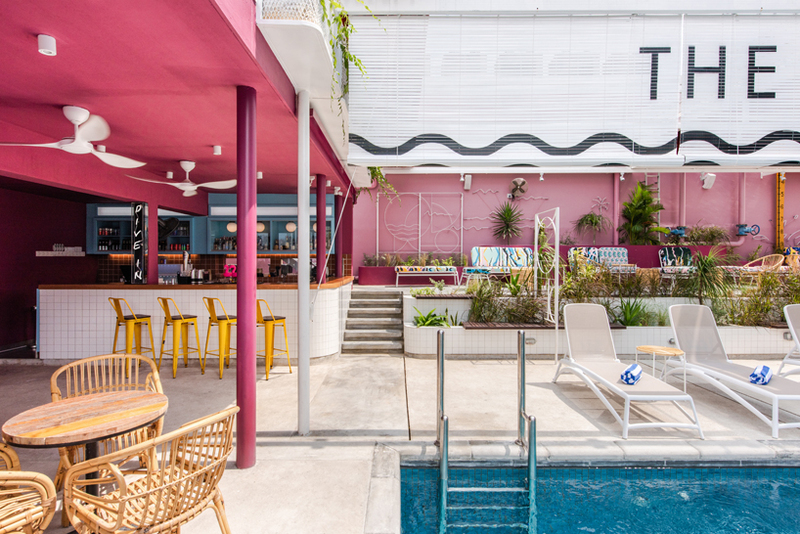 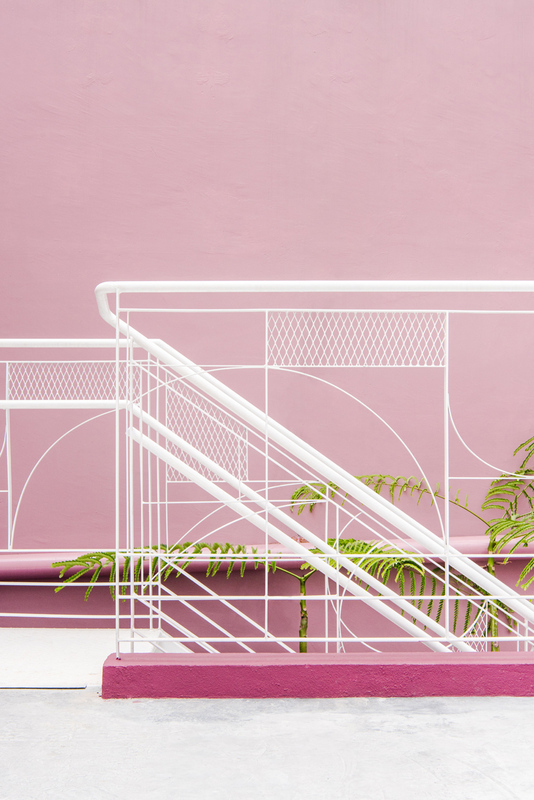 being in the tropics, the pool deck is envisioned to be an urban retreat for city dwellers and also shoppers from the adjacent shopping district of bukit bintang. 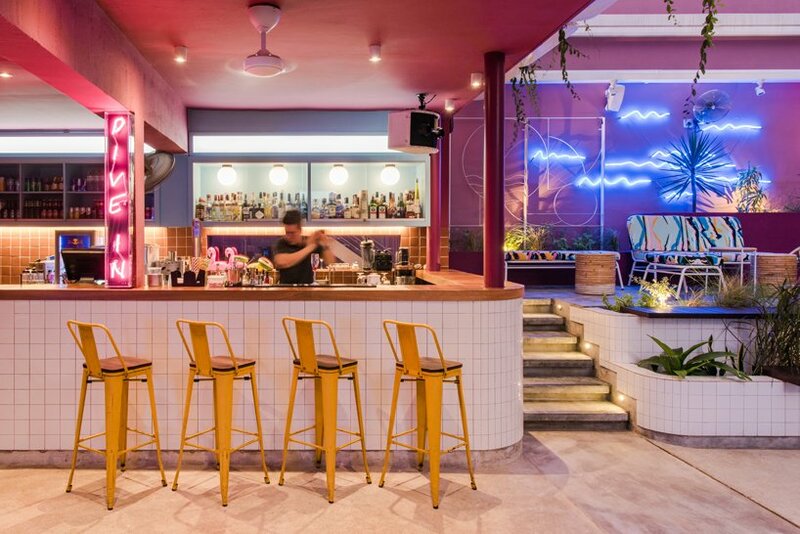 a large steel roof with openable red canvas fabric spans across the entire length of the space, providing a visual connection and also shading against the harsh tropical weather. 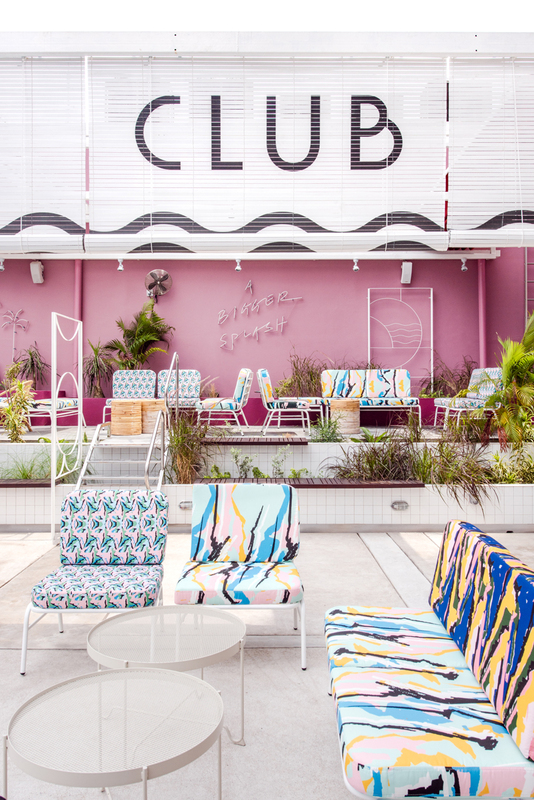 custom-made timber blinds with the logo of the swimming club not only provides shading but also a visual identity, visible from the ground level shopping district below. 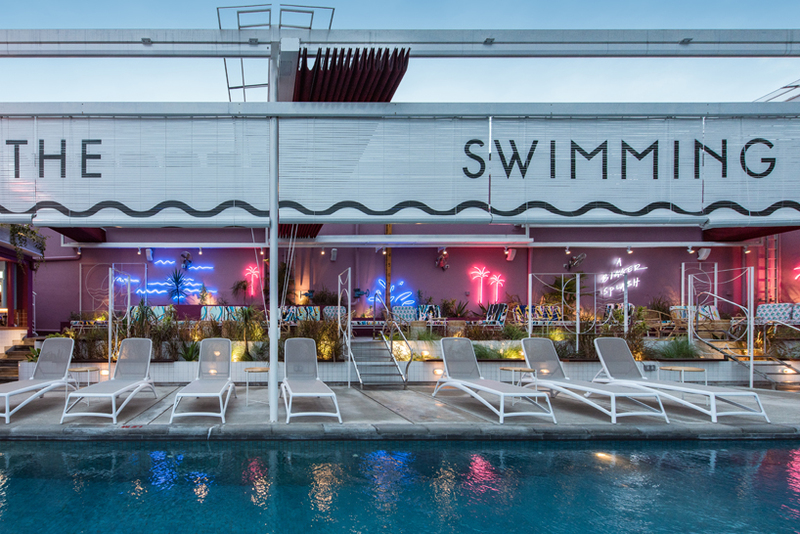 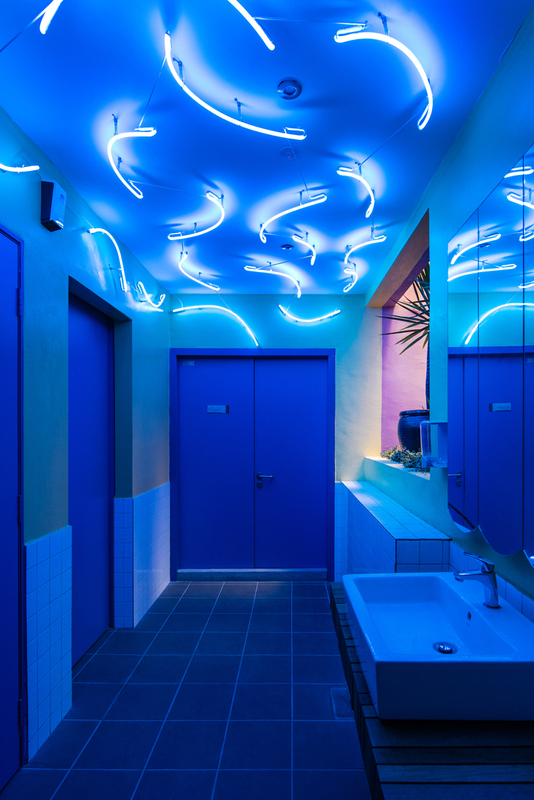 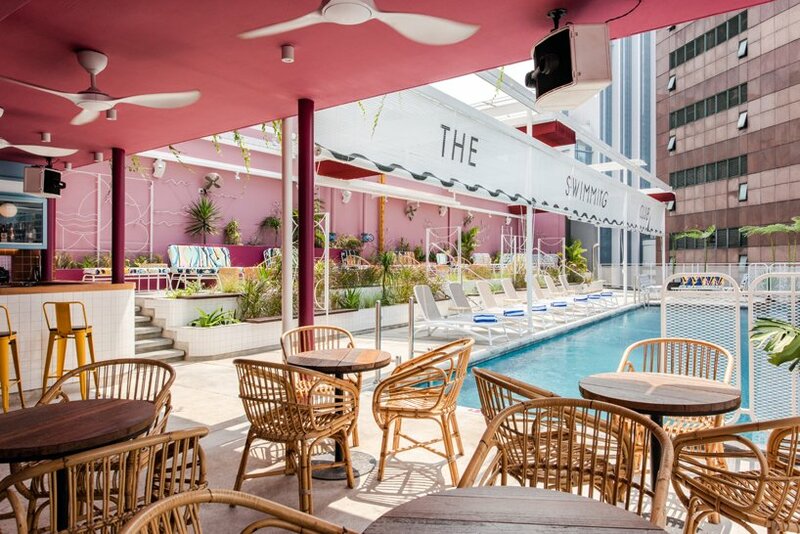 as the sun sets, hand-written neon signs illuminate the walls, encapsulating the 1960s spirit the pool projects. 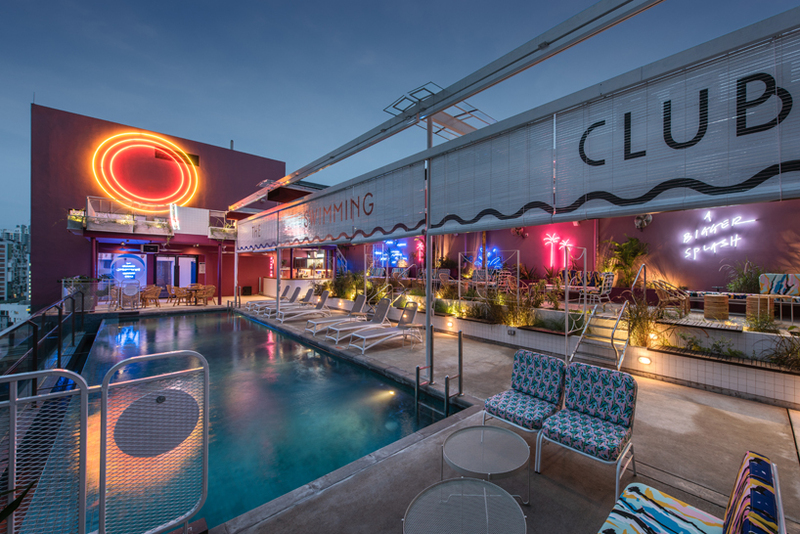 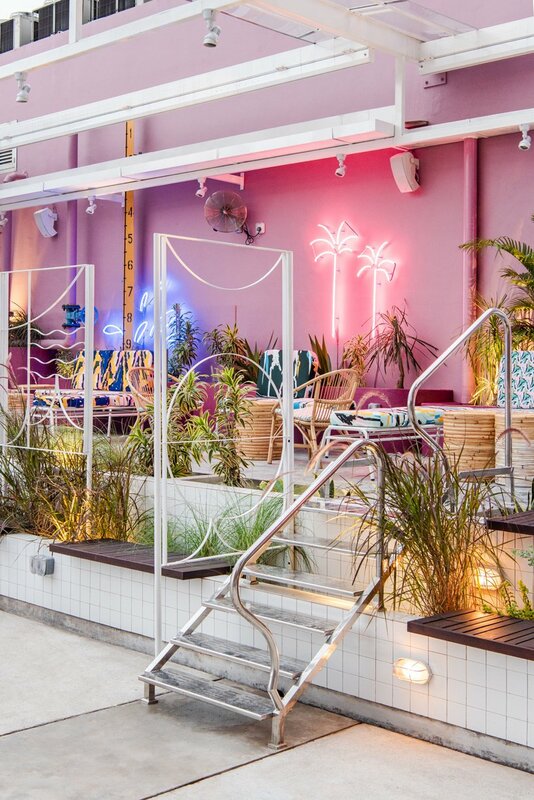 three giant neon rings cast an artificial sunset against the pool water, transforming the lush sun-kissed pool deck into a space for an intimate and sensual night out.